Whats App the most popular messaging service with billions of messages being sent and received has totally decreased the way Text messaging is done. Whats App provides you with mobile to mobile text messaging, sharing multimedia files between mobiles and Group messaging. What’s App has a disadvantage of not being available for download in all mobile platforms, with a great increase in all kinds of platforms and not available for download in Java platform. This is one trick which will let you download and install Whats App in your PC/Laptop and use it to chat with friends on their Whats app from their mobile. This trick will be helpful for people who do not have phones which support Whats App, or living in places where Data Network connection is poor. So now you can download Whats App on your Laptop or PC and use it to chat with your friends on their mobiles. BlueStacks app player let you run your phone apps on your Windows or Mac OS devices. After installing you can login either using Facebook account or create and Account and Login. 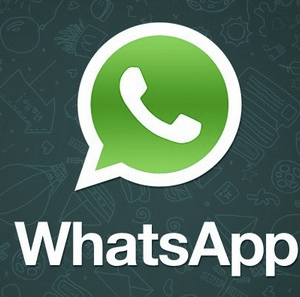 Now you need to Login into Whats App directly by registering your mobile number. It will ask you to enter your mobile number and sends a code as a text message tot your device. You have to enter the code to confirm your device and that’s it you are ready to use What’s App on your PC. Note: Make sure you have 2GB of memory on your disk before you start installing Bluestack. BlueStack is a software which lets you access mobile applications on your Laptop or PC which helps in using Whats App in your Windows or Mac devices.